Cooperative Purchasing / What is AEPA? 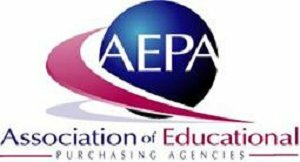 The Association of Educational Purchasing Agencies (AEPA) is a group of Educational Service Agencies/political subdivisions organized through a Memorandum of Understanding between all participating states for the purpose for securing combined volume purchasing contracts based on potential sales by qualifying customers in participating states. Lakes Country Service Cooperative and the Minnesota Service Cooperatives are participating members in the AEPA. That means that as a member, you have access to the contracts established through AEPA. Purchasing from these contracts satisfy the Minnesota competitive bidding requirements - no matter the amount of the purchase. The ability to do so is outlined in the combination of Minnesota Statutes 123A.2 and 471.345. Visit www.aepacoop.org for more information.